The Crafty Crow did a review on a book by Myko Diann Bocek called Adventures in Pompom Land. I know I use the word cute a lot, but these are truly very cute. 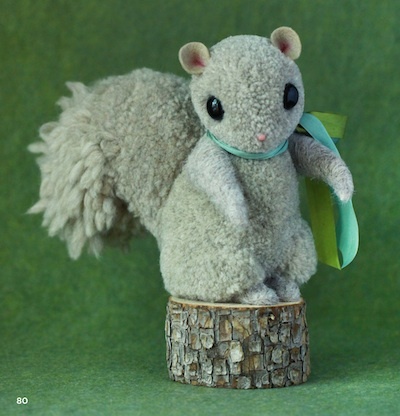 Follow the link to the Crafty Crow for a tutorial on the squirrel. Don’t panic, but school is almost out! Are you looking for fun things to do this summer? Here are a few ideas. I am not beyond adding a little learning experience in with the fun. 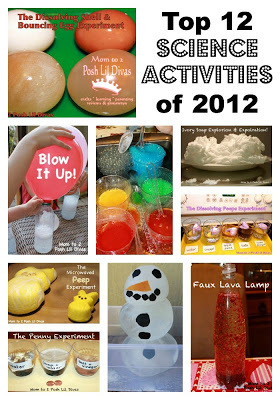 Here are 12 science experiments you can do at home. Mom to 2 Posh Lil’ Divas shows you how. The disappearing egg-shell was a big hit. 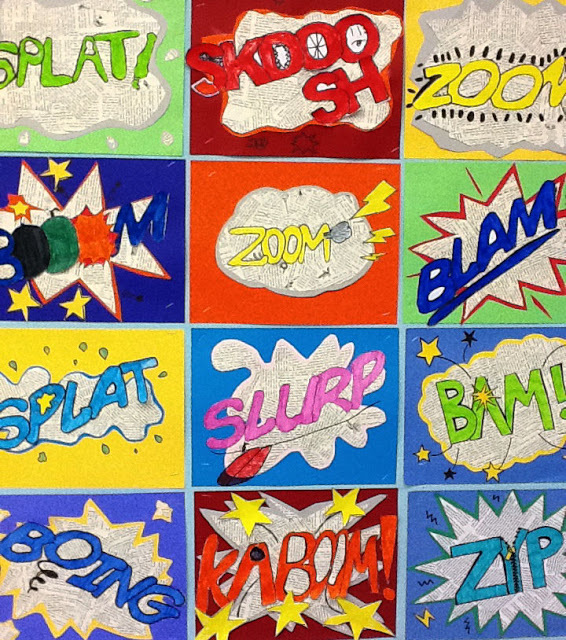 Helping Little Hands has some great artwork to show off, made with melting crayons. Kids need to be old enough to handle an open flame. If this is not for your child you might like the crayons melted on a hot rock. Check that out here. 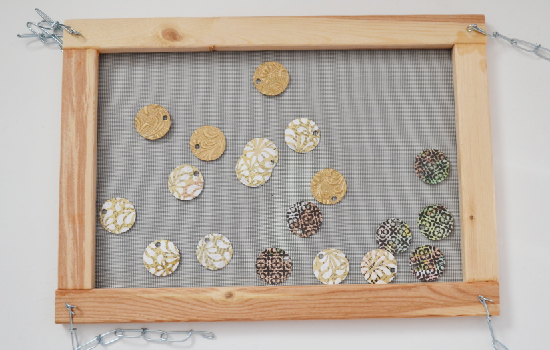 A great rainy day project with a few simple supplies from Artisan Des Art. Hands On As We Grow has a wonderful spider web game. 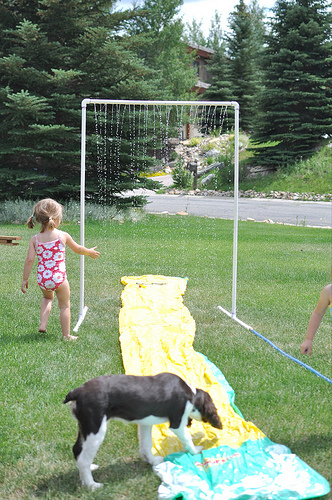 All you need is some painters tape, wadded up paper and a couple of bored kids and you are on your way to fun. 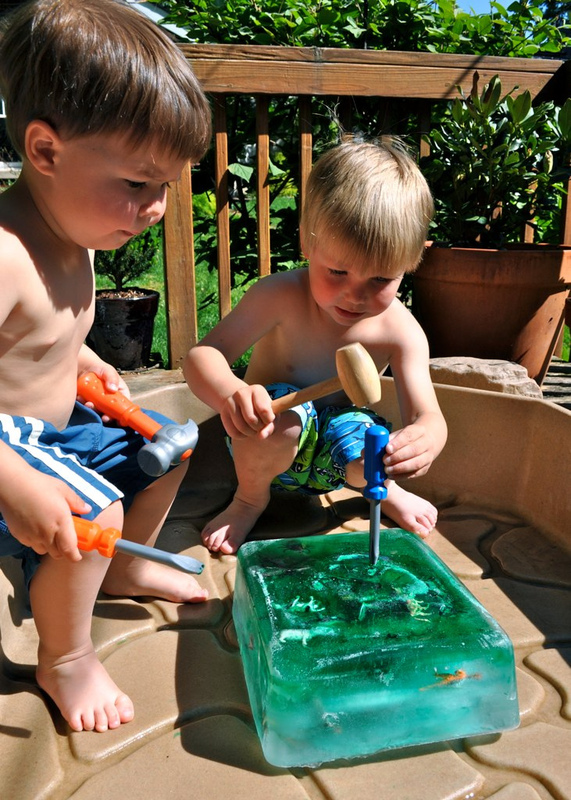 When it is super hot outside and you are looking for something for your little paleontologist to do, here is a terrific idea from Crumb Bums. You will have to plan ahead, but looks likes like a good time with friends. Another great way to cool off from Lindsay and Drew. Looks fun to me. 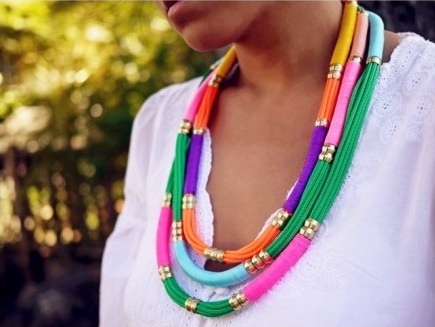 I think this necklace has a very elegant look to it. You can find the tutorial for this necklace at Honestly WTF. The beads are actually compression sleeves found in the plumbing supply area of your hardware store. Love strolling through the hardware store. Graduation is coming up soon and here are a few ideas. 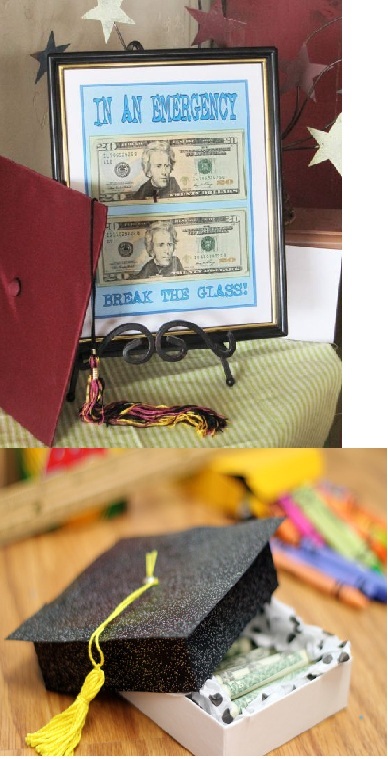 How about a few fun ways to give money to a grad (a favorite gift) from Happy Home Fairy. ( I really like the idea of the gum balls in a jar, but you have to go to Happy Home Fairy’s blog to see it.) T-shirt quilts have been around for some time. 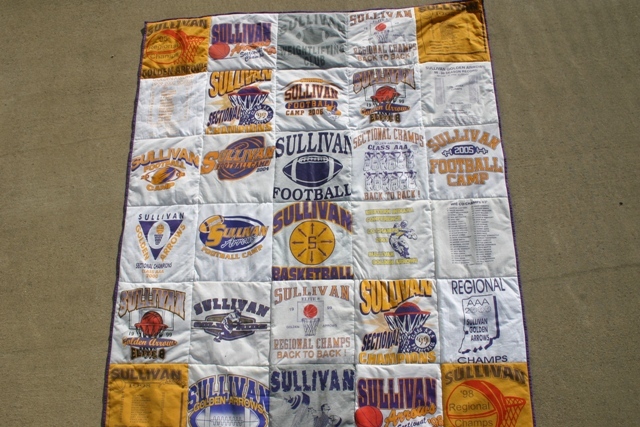 It is a great way to display all those teams and events that your children have been a part of and fun to snuggle up in on those cold days. Blessings Over Flowing gives a good explanation on how to put this quilt together. T-shirts can stretch which can make it tricky. On BOF blog she used a basting spray. 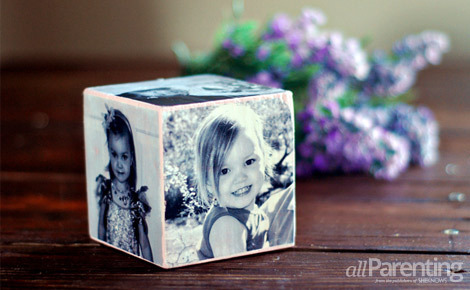 You could also use iron-on interfacing for each square. You will need to do one or the other or you won’t be happy with the results. Also use polyester batting, if you use cotton you will have to do a lot of quilting as it separates and becomes cotton balls when washed. Not a nice thing to find out the hard way. This next idea is one you can use your own imagination and run with. The original is from Martha Stewart. You could make this special for the grad by making the theme something that works for them. 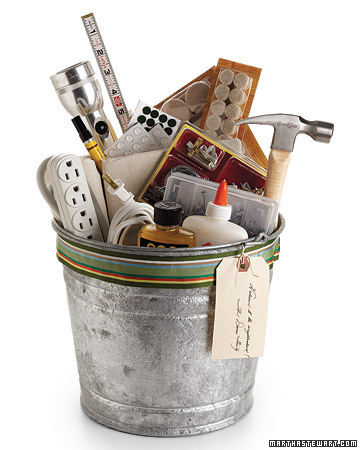 If they are going off to school and living in a dorm make them a special tool bucket. Screwdriver, small hammer, hooks they can use in the dorm, tape, scissors. Those little things that come in handy and can make you new friends. Small sewing kit and the know-how to use it can make you friends in the dorm too. A bath caddy filled with wonderful soaps, shampoo and lotions. A laundry bag, roll of quarters, soap and dryer sheets. If they have cooking facilities a few kitchen tools, can opener, pot holder, dishes for the microwave. See how crazy you can get? I have a favorite pair of shorts that I would love to copy the pattern. 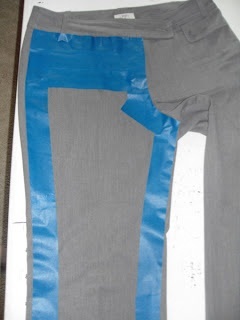 Well today I found an easy way to make a pattern off of a garment using painters tape thanks to Cheap and Picky. Really this is a pretty easy approach and should work out great. I wish I knew who to give credit to for this next idea, but all I could find was the photo. 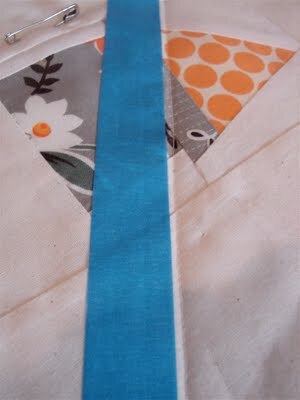 For quilters, use painters tape to give you a nice straight edge. You can mark your measurements on the tape so your design comes out even. If you have ever laid out quilt squares and had them neatly stacked and taken them to the sewing machine and then found out you turned one. 😦 Painters tape to the rescue! Just mark which row and a direction arrow on the tape and this should help you keep your sanity. Thank you The Cottage Home. 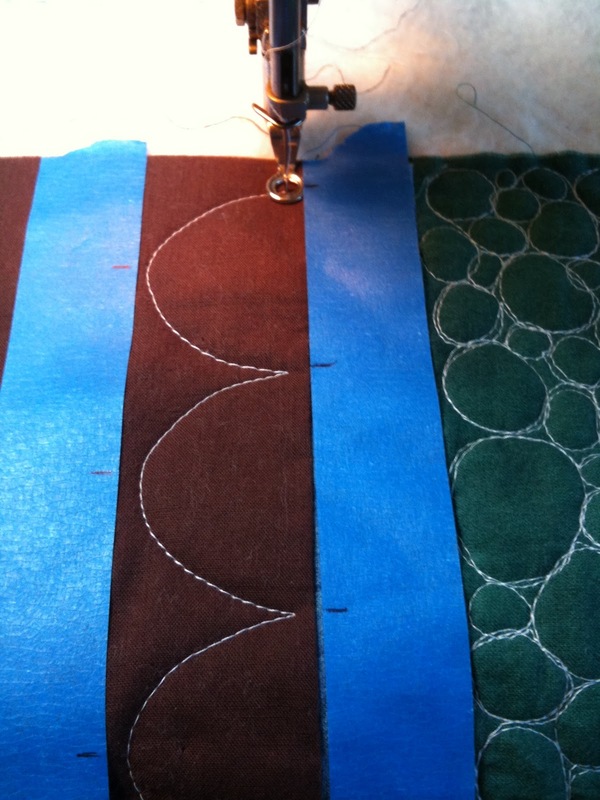 Tall Grass Prairie Studio uses painters tape to help her with those long straight sewing lines when quilting. 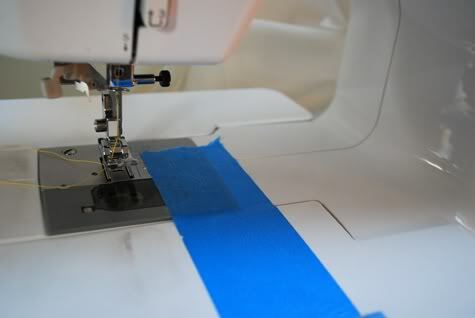 Prudent Baby uses painters tape to help keep her seam allowance straight by taping a piece on her sewing machine. 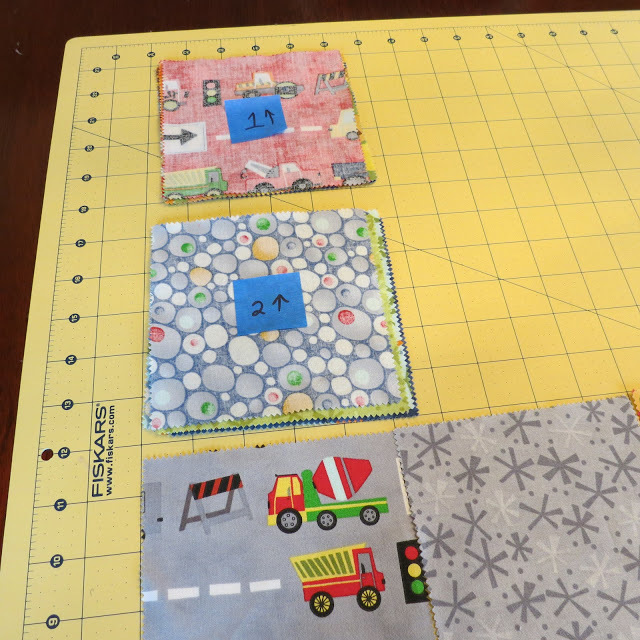 The possibilities are numerous with how painters tape could help in the sewing room: help keep snaps in place to sew on, reinforce a paper pattern, tag pattern pieces, help with stitching designs, use as a stencil to paint on fabric. What ideas can you come up with? Refashioning old garments to new is a trend that you can find all over the internet. I think it is a great idea. I am a little old school and think you should use your best sewing skills and finish the garment. I don’t like leaving a cut edge on a garment, I think it should be turned and sewn. But that is just my opinion. 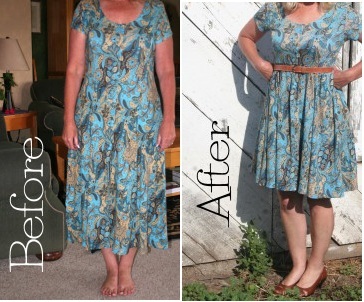 The Renegade Seamstress is one of my favorite blogs for refashion garments. She has a good eye for what works. 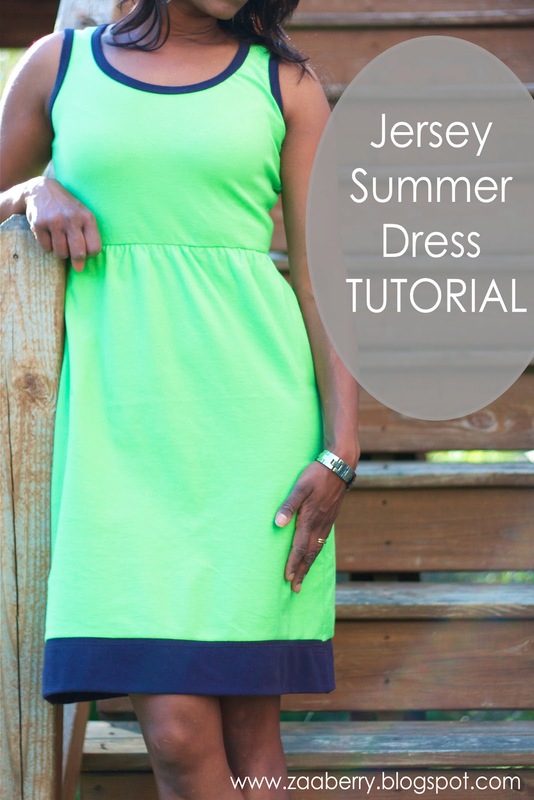 This summer dress from Zaaberry is another cute refashion idea. And you can really make a simple t-shirt stand out with a little refashioning. 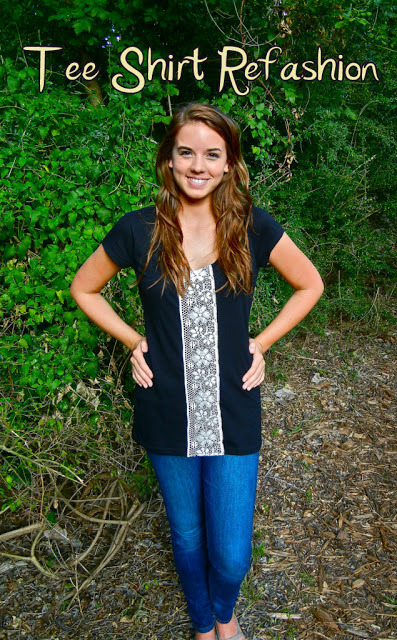 Love the lace on this T by Sweet Verbena. Just remember if you are adding new material to an old garment to wash the new material. (per-shrink) It is fun to create a new look from something old. With a little research you can find many different kinds of ideas. Mother’s Day is this Sunday! OK now that I put some of you in panic mode let’s see if I can help you with a few ideas. 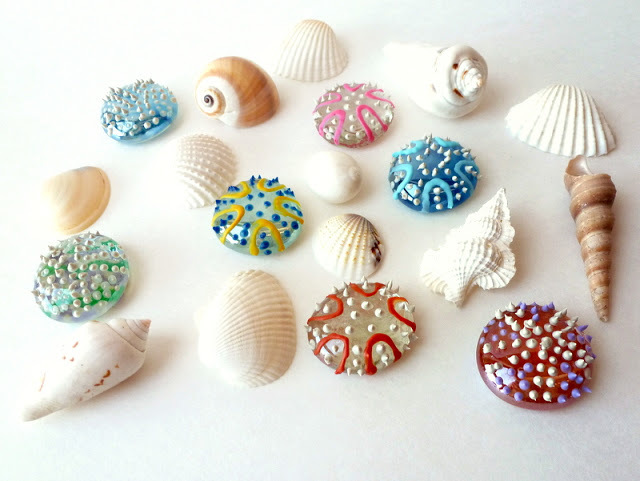 If your mom loves the ocean maybe she will like these hand-painted glass sea urchins from Mich L in LA. These are very simple and the instructions are easy to follow with beautiful results. Dream A Little Bigger has the gift I am wishing for, a drying rack for art work. I would probably put little feet on the bottom and forget the hanging part to make it work for me, but I love the idea. Again a simple idea with great results. OK this one you may have to start today to get all the drying time in to have it ready for Mother’s Day, but any mom or grandmother would love this. Just a few simple items, photos and instructions from All Parenting and you have a marvelous gift. 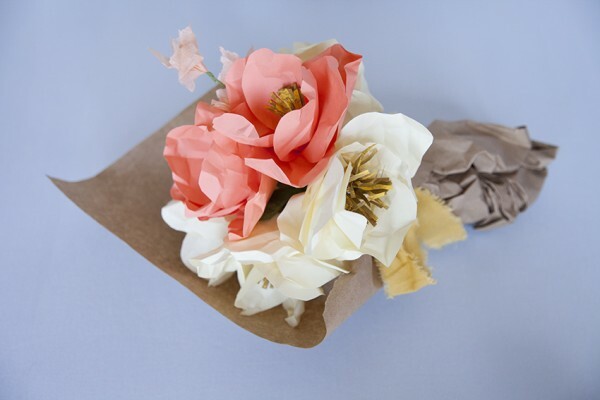 How about a bouquet of paper flowers? Creative Bug shows you how to make these beautiful flowers and they will last a very long time without water.